From being ranked as the Top 1 site in the world to best Advertising company (AdSense) Google handles almost everything that you use. With over 100’s of Services, Google is trying to take user’s information to offer best internet experience. Google tracks every website you visit, every Android App you have in your phone. 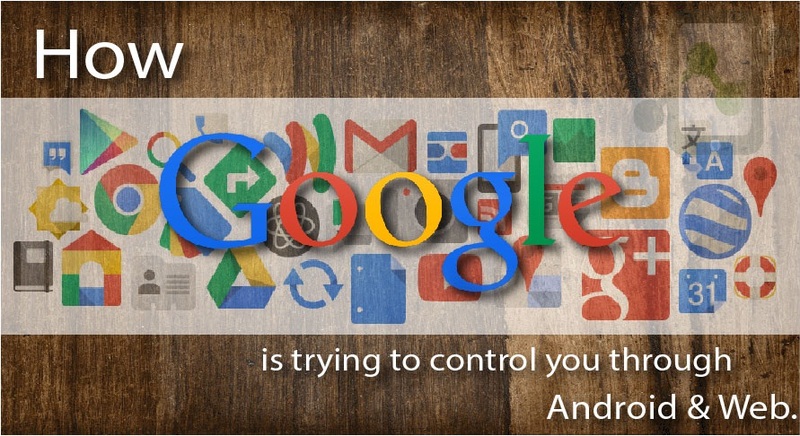 With Google improving its services everyday, Google is trying to control you through your device & web searches. Did you know, you can unlock your device without even touching your device through Google’s Android device manager ! You can even factory reset your device from here. 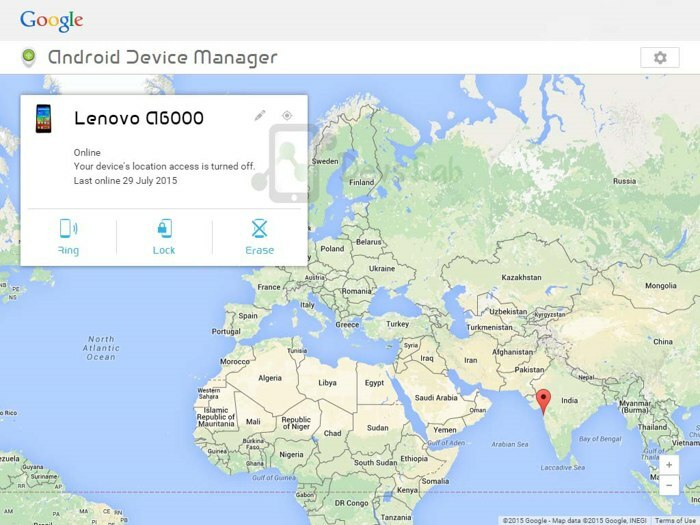 Android Device manager controls your device. As you can see in the image, you can Ring, Lock & Erase your phone through Android device manager site. Have you ever observed Google Adsense Ads on site showing Ads related to recent Internet surfing. For eg. If you have searched for Galaxy Note 4, you will see Ads related to Note 4 only. All this concludes that even if you are not using Google, they are tracking you everywhere. You can check your entire history on Google History. If you have Google Maps App in your Android device, then you are continuously sending data to Google servers about your current location. Google calculates the traffic in a particular area by tracking the speed at which the Android devices in that area is moving. Google has your entire Contact list in your Gmail, Gallery images backup in Google+. Photos. Few weeks back UK Ministers demanded to close Social messaging Apps just because they wanted to track each every conversation for security reasons. However, most of the people opposed this new law while Google is doing the same stuff from the beginning. As per the Agreement of Google, it can collect almost everything about you just like the latest Windows 10 demands. For more proofs, Open your Google App in your phone & say send message to “person’s name” on WhatsApp. You’ll realize Google controls your phone more than you. After reading all this first thing that comes in your mind is, Is it bad or good? Well, If you look over the positive part Google is trying to offer the best experience on web as well as with your Android device. However, Google has left no privacy for any users. It seems like you are being tracked everywhere on the Internet. A user reported that, “Google+ Photos takes backup of all your personal photos without your permission.” But, you don’t have to worry about your privacy being sold as its ‘Google’. But, make sure Google don’t have your Personal photos like with Family in your Google+ Photos. 1. Disable Auto Sync for Google Apps that you don’t use as they keep sending data in background. 2. Do a weekly check of your Google+ Photos & disable Auto backup of your images in Google+ Photos. 4. Goto My Account, do a check of your privacy, Check what information Google can collect from you. Check every thing related to your Google Account here : Google Dashboard. While Google promises to protect user’s privacy, you don’t have to worry about your privacy. But, make sure to do at least weekly check your Google activities to check if everything is on track.